This is Part 3 of a history paper I wrote last year on John Calvin's role in the burning of Michael Servetus at the stake. Here is Part 1, and here is Part 2. *Anyone wanting a full bibliography of sources, please leave your name and email in the comments section. Every source directly referenced has also been listed in the footnotes. Why had the Protestant reformers so readily agreed to the execution of Servetus?...we have to shed modern sensibilities and enter the world of the sixteenth century. By the early 1550s the Protestant Reformation was facing a resurgent Catholic church which at the Council of Trent was clearly defining its theology and discipline. The Protestant churches continued to be severely damaged by accusations that they were spawning heresy and heretics. The unwanted Servetus case came at a vital moment when Protestantism was forced to define itself against heresy. Failure to condemn Servetus and his evident denial of fundamental doctrines…would have been catastrophic. 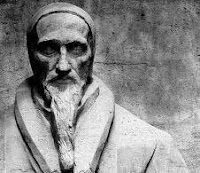 Servetus had already been condemned by the Catholics, in agreement with Calvin’s own opinion of Servetus’s heresies, making matters even clearer. Bullinger’s response to Geneva is apt: “God has given you an opportunity to wash us all clean from the suspicion of being heretics or favoring heresy if you show yourselves vigilant and ready to prevent this poison from spreading further.” This was a crucial moment for the Reformers: “…the Trinity had been the foundation not only of…Catholic doctrine but of Christian civilization…To spread denial of such a doctrine was…treason and an attempt to spread anarchy.” Indeed, “[T]here was no place in the world of the day either Protestant or Catholic where Servetus would have met with anything but a sentence of death.” Execution was preferred to exile, for exile allowed the heretic to spread his heresies further. The Protestants burned bodily what the Catholics had already burned in effigy. Council’s insistence on burning Servetus against Calvin’s favouring a “less brutal mode of execution” may have been an attempt to prove their zeal for orthodoxy. Christians executing heretics cannot be justified, but given its historical context, it can be understood. In the sixteenth century, “no enlightened civil leader believed that the government did not have the right to execute blasphemers and heretics….” Moderns think of the cruelty of burning someone at the stake, but Calvin emphasized “that it was ‘more than cruel’ to ‘spare the wolves’ and expose the sheep to possible soul-murder through the ‘poisoning of false doctrines.’” Since “every soul…Satan seduced was…lost to the hope of salvation…”, heresy required “…swift and severe retaliation, lest even greater damage ensue.” No less a theologian than Aquinas taught that, if a heretic remained resolutely unrepentant, for the sake of saving others, he is to be “separated from the church by…excommunication and then [left] to the secular judge to be exterminated from the world by death.” Such a response to unrepentant heretics was presupposed. Allowing heresy to spread “was religious reckless endangerment by spiritual serial killers. 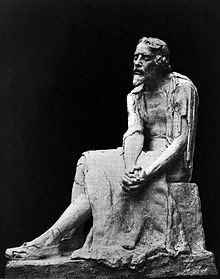 Indeed, heretics were worse…because their victims lived on to harm others in turn.” Heretics were something like spiritual vampires: their bite didn’t just kill the soul, it converted their victims into heretics who could bite others and further spread their blasphemies in a plague of eternal damnation. For people of Calvin’s day, God was supreme over human authorities and the soul was supreme over the body. If criminals were punished for their earthly crimes against others, how much worse those who had “offended the divine majesty.” Heretics deserved sentences at least equivalent to those “applied to lesser criminals.” After all, “[M]urderers killed bodies, but heretics killed souls.” Although they played for opposite teams in the Reformation, Johannes Eck and Calvin both used Deuteronomy 13 as God’s mandate for executing heretics. From his writings, Calvin clearly viewed Servetus’s Trinitarian errors as worse than his denial of infant baptism. Although Calvin had quit responding to Servetus’s letters, Servetus hadn’t quit writing them. Servetus wrote to another Genevan pastor, “Your gospel is without God…[I]nstead of God you have a three-headed Cerberus....” This came up at trial. Yet interestingly, Calvin pushed almost as hard on Servetus’s denial of infant baptism, the Anabaptist error. Calvin likely argued at trial as elsewhere that Servetus’s Anabaptism, “by nefarious blasphemies,” was “overthrowing whatever piety exists in the world.” Though never executed, Anabaptists had been expelled from Geneva previously. It is possible, however, that the city council felt Servetus’s Anabaptism to be pragmatically even worse than his Trinitarian heresy. The council may have recalled Munster, where apocalypse-anticipating Anabaptists had overthrown the government, “abolished private property, and made all possessions…common,” only to be finally subdued through great loss of life. Geneva city council may have had these images in mind as they deliberated over Servetus, for his brand of Anabaptism was particularly apocalyptic. In his last letter to Calvin’s fellow pastor, Servetus pronounced a three-fold woe. He speaks of involving himself in (archangel) Michael's end-times war, confident he will be martyred for Christ. “Do not expect to hear from me again. I will stand…watch. I will consider. I will see what He is about to say…He will come. He will certainly come. He will not tarry.” When Beza afterward recalled The Restitution of Christianity, he pondered Servetus’s choice of verse for his title page - “Michael and his angels fighting with the Dragon.” Bainton says Servetus saw himself as the archangel’s “armor bearer.” Servetus had calculated the end: 1260 years from the “fall of the church” in the time of Constantine. The four horsemen of the apocalypse were already here. The end was nigh. Munster had ended in a blood bath only nineteen years previous, brought on by Anabaptists expecting the end. If Calvin presented Servetus’s letters at the trial, it may have changed the minds of councillors otherwise disposed to exile. At Servetus’s request, Calvin went to see him post-sentencing. Calvin remonstrated with Servetus to repent. Bainton sees Calvin’s recollection of this meeting as self-aggrandizing: “To [Calvin]…the majesty of God, the salvation of souls, and the stability of Christendom were at stake. Never for a moment did he suppose that he was acting simply on behalf of the laws of a single city.” Yet, standing in a long tradition of churchmen who believed these were the very things at stake concerning heretics, what else would Calvin think? And believing himself to be riding to war with the archangel Michael, surely Servetus’s self-image was the more delusional. Farel accompanied Servetus to the place of execution, praying for, pleading with, and preaching at Servetus to repent. Sometimes “a last-minute recantation” would spare a repentant heretic. The heretic may recant at the stake and suffer only temporal, rather than eternal, fire. If the heretic remained unrepentant to the end, they at least provided a “warning to others.” Resolute to the end, Servetus cried to Jesus, Son of the Eternal God, for mercy, not to Jesus, the eternal Son of God. There is no denying that Calvin played a key role in the tragic Servetus affair. But “Calvin was no Genevan dictator….” In fact it was not until a sizable influx in both 1555 and 1556 of Protestant (mainly French) artisans fleeing Catholic persecution, that the anti-Calvin libertine party was voted out and replaced by a pro-Calvin city council, Calvin’s authority was established, and what is now referred to as “Calvin’s Geneva” came into its own. Calvin was not solely responsible for Servetus’s arrest, nor directly responsible for Servetus’s trial and execution; the process, verdict and sentence were the jurisdiction of city council – a responsibility they executed with no little antagonism toward Calvin. Council also likely feared the potential political repercussions of a lenient decision, Geneva being an independent Protestant city very near Catholic France on one hand, but not yet part of a later consolidated Reformed Switzerland on the other. The city council acted according to the advice given by their confederate Reformed cities, their own pastors, their expert witness (Calvin), and their own best judgment within their historical context. Although Calvin wanted a death sentence, the city council denied his request that Servetus receive the more humane death of beheading. Like the Catholic authorities previously, they sent Servetus to the stake. Post-Enlightenment writers have every right to protest against the cruelty of earlier generations; to single out Calvin for particular criticism, however, suggests a selectivity approaching victimization. To target him in this way – when his involvement was, to say the least, oblique – and overlook the much greater claims to infamy of other individuals and institutions raises difficult questions concerning the precommitments of his critics. McGrath notes that, “Servetus was the only individual put to death for his religious opinions in Geneva during Calvin's lifetime, at a time when executions of this nature were…commonplace elsewhere.” The death sentence which Calvin advocated for and council passed was not an act of hatred, but as was generally understood of the eradication of dangerous heretics, it was an act of “responsible, early-modern tough love, enacted for the sake of others and the common good.” Such, at least, was the sixteenth-century perspective and a lengthy tradition upon which it was based. If Calvin cannot be excused for his role in the Servetus affair – and he should not be – he ought at least to be contextualized. He lived “in an era which, lacking many of the sensitivities of twentieth-century liberal thought, regarded the execution of heretics as routine.” Calvin’s support for the death sentence, in a case that all the contemporary religious and civil authorities regarded as particularly serious heresy from a specially dangerous heretic, “makes him little more than a child of his age, rather than an outrageous exception to its standards.” Calvin acted exactly as a responsible shepherd of the flock was expected to when facing a wolf in 1553. Bernard Cottret, Calvin: A Biography (Grand Rapids: Eerdmans, 2000), 220–21; Bullinger pastored in Zurich. Ronald S. Wallace, Calvin, Geneva and the Reformation: A Study of Calvin as Social Reformer, Churchman, Pastor and Theologian (Eugene: Wipf & Stock, 1998), 80. Brad S. Gregory, Salvation at Stake: Christian Martyrdom in Early Modern Europe (Cambridge, MA: Harvard University Press, 2001), 86; like most Swiss cities, Geneva had no facilities to hold prisoners long-term. William J. Bouwsma, John Calvin: A Sixteenth Century Portrait (Oxford: Oxford University Press, 1988), 27. Bainton, Hunted, 99. Cerberus was the three-headed dog of mythology, which Servetus is comparing to the orthodox doctrine of the Trinity. John Calvin, Tracts and Treatises on the Doctrine and Worship of the Church, (Grand Rapids: Eerdmans, 1958), 2:265. Ibid; among more extreme measures, such as polygamy and execution of dissenters. Calvin, Selected Works, 1:lxv; recognizing the irony after the fact, Beza sees Servetus as fighting with the Dragon, as in, on the Dragon's side. Ibid., 98–99; corresponding to the 1260 days the woman of Revelation 12:6 spends in the wilderness, either 1565 (beginning of Constantine's reign) or 1585 (Council of Nicea), the authoritative formulation of Trinitarian doctrine. Ibid., 98; White - pope, red - cardinals, black - Dominicans, pale - other mendicant orders. Ibid., 115; Lutheran Germany, Elizabethan (and later) England, Catholic France, Spain and elsewhere. Marilynne Robinson, “Marguerite de Navarre,” from The Death of Adam: Essays on Modern Thought (New York: Picador, 1998), 174-75, 180. Ibid., 116; italics in original. There were executions for treason and crime in Geneva, all of which were overseen by civic authorities; see Chapter 6 of Wallace, Calvin, Geneva and the Reformation, esp. 82. In 1551, Jerome Bolsec was exiled for his opposition to Calvin’s doctrine of predestination. Heresy being a civil crime, it was tried by the city magistrates, again while they were largely antagonistic to Calvin. Here too Calvin represented himself and the magistrates appealed to their fellow reformed Swiss cities and, upon their recommendation (which was not so sweepingly approving of Calvin as with the Servetus affair, since Calvin’s version of predestination was not universally accepted by all the reformed), Bolsec was made to leave. For a brief but helpful comparison of the Bolsec and Servetus cases, see Christopher Elwood, A Brief Introduction to John Calvin (Louisville: Westminster John Knox, 2017), 62-68. McGrath, A Life, 117; see also Elwood’s conclusion, 65-68.